Export Portal is considered one of the best online platforms for sellers across the world to connect with millions of customers. We pride ourselves on having a wide selection of products from thousands of international brands across diverse categories also including Entertainment Department. Export Portal Entertainment Online Store suggests you expressing your creativity with party supplies for every season! Check out our huge assortment of party supplies like birthday party supplies for children, adult party supplies, party decorations and invitations. 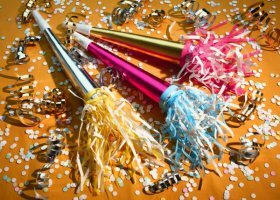 Buy online party hats for kids, goody bags, novelty toys, birthday party games, candies – everything you need to organize a memorable party without breaking the bank. At Exportportal.com get inspiration for graduation parties, wedding and baby showers, birthday parties. Or plan a great themed party like Masquerade Party, Pirate Party, Sports Party, Mexican Fiesta Party or Balloon Party. Export Portal Entertainment Online Store also features hundreds of games that will set pulse racing at reasonable prices for various gaming platforms like Xbox360, PlayStation 3, PlayStation 4, PlayStation Vita, Wii, Nintendo 3DS and more. Explore games across multiple genres such as Sports, Action, Music and Dancing, Simulation or Strategy. You can also read product and seller reviews or review your favorite games too. Find everything you need on Exportportal.com!